Member of an organization that partners with Engineers in Action? 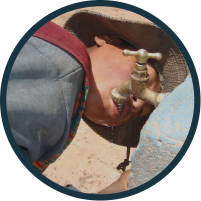 Join the Partner Challenge and 50 percent of the funds your raise will go toward a future trip with EIA. Contact our Executive Director with other ideas! Decide if you will fast as an organization or individuals within the organization. EIA suggests each participating member of your organization create their own fundraising page. Send direct email asks to your professors, friends and family. Use the social media guide to ask your social networks, including your organization’s social media channels, for support. EIA will earmark half the money you raised for your team. 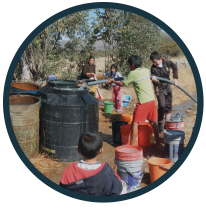 The other half will go to Engineers in Action to help us support your team and many others as we work to provide clean water to Latin Americans in need. Follow up with your donors with at least one thank you and announcement of funds raised after the fast.